Trace Elements are elements which are found in small traces in the aquatic, particularly ocean ecosystem. These elements are required for the health and growth of aquatic creatures. Calcium is an extremely important components of skeletal structures. It helps in the formation of shells for aquatic creatures such as crabs, clams, bivalves. As animals grow, they extract the calcium from the surrounding environment. This will deplete the calcium from the water and over time, the aquarium inhabitants will suffer deficiency. Calcium can be supplemented by adding additives to the water. Carbonate serves as a pH buffer. It also regulates the hardness of the water, a critical parameter. Carbonate can be added in the liquid or in the powder form. Magnesium is another element which has a role in the formation of skeletal structures. 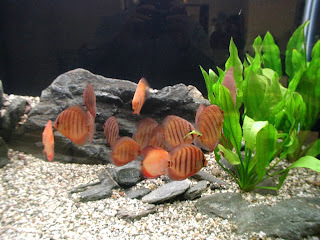 The levels of Magnesium also affects the calcium levels in the aquarium. Hence, the magnesium levels in the aquarium should be within proper limits. Magnesium supplements are also available in the water. Iodine and Iodide are important for the growth of corals and their health. Iodine is depleted by protein skimmers, by ozone and by oxidation. It also helps prevent damage to corals from excessive light. Iron is consumed by fishes. Iron helps in the growth of macro algae. Excess Iron causes an increase in micro algae and may cause an algae bloom. Hence, iron may be needed to be removed from the water. Iron is present in tap water. Hence, the check the iron content in the tap water before using it in your aquarium.